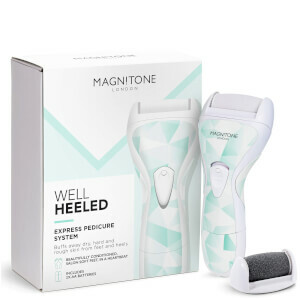 Pamper hardworking feet with the Magnitone London Well Heeled! - Express Pedicure System; an effective pink device that gently buffs away dry, hard and rough skin from feet. Finally have a way to quickly fix my feet at home. This is brilliant for when I want to wear open shoes and give my feet a little love. Leaves them really soft.